Vanaire designs and builds state-of-the-art Air Scrubbers for Surface and Metal Finishing processes. Our Air or Wet Scrubbers are specially designed to provide the highest capture and removal rate of hazardous air pollutants. 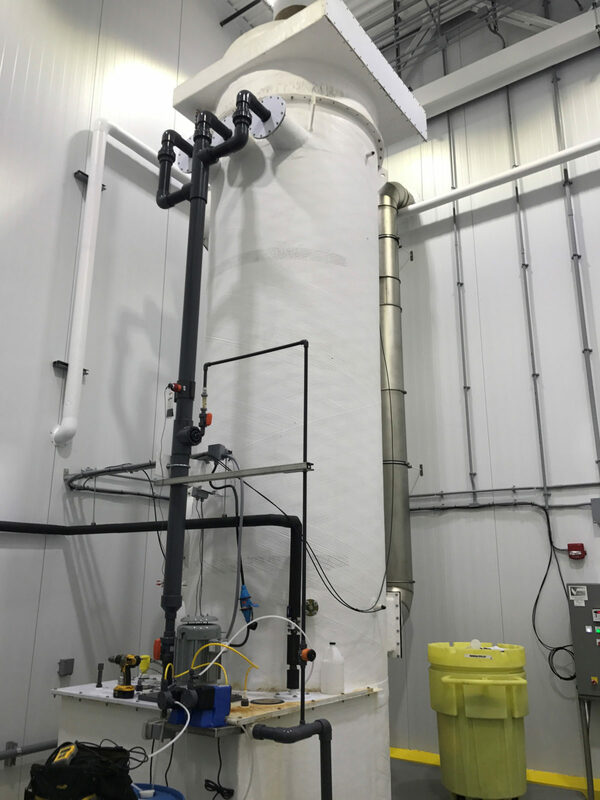 Vanaire engineers have more than 30 years of experience fabricating corrosion-resistant Air Scrubbers that capture and remove contaminants typically found in surface and metal finishing facilities. Vanaire is proud to be one of the country’s leading providers of Air Scrubbing Systems to industrial companies that handle electroplating, anodizing, galvanizing, phosphating, and other plating processes. We can supply the best Air Scrubbing Systems that can be built in sizes of up to 60,000 CFM. Call Vanaire today to commission an Air Scrubbing System for the Surface and Metal Finishing industry. You can rely on Vanaire to develop a custom air pollution control solution for your specific needs.